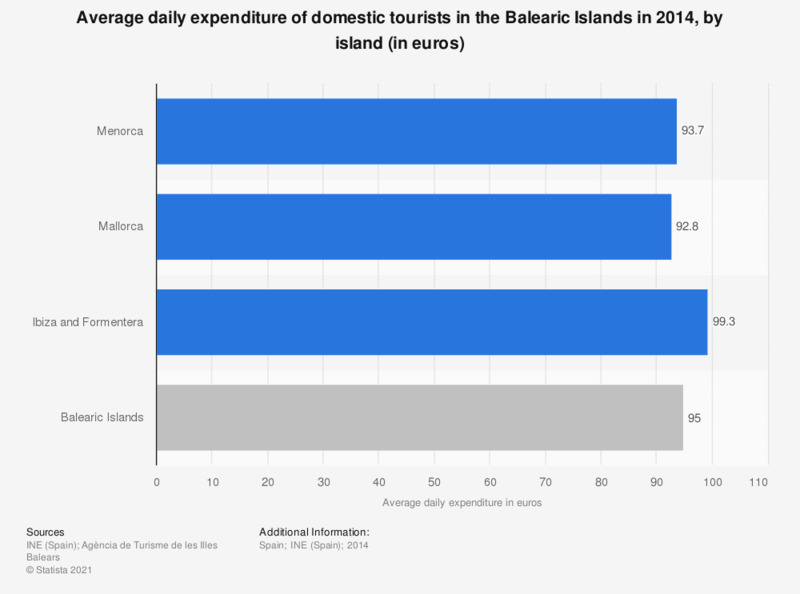 This statistic illustrates the average daily expenditure of domestic tourists on the Balearic Islands in 2014, by island. Overall domestic tourists spent an average of 95 euros per day on the islands. Spending on the islands of Ibiza and Formentera was highest at an average of 99.3 euros per day.